microlightpilot.com » Failed escape, weather turn back. Failed escape, weather turn back. Well, 8 aircrew from 5 aircraft made it to Bodmin. It seems 4 other aircraft went into Perranporth but due to closing time got stuck there so didn’t get to Bodmin. We too had intended to do Perranporth for fuel then fly around lands end and back up to Bodmin. However 20+ knots headwind on the way down from Dunkeswell meant we wouldn’t make Perranporth before close so Bodmin it was. So, we had 1x CTSW, 1x Rans, 1x SportCruiser, 1x Jabiru and us the lone Flexwing ! 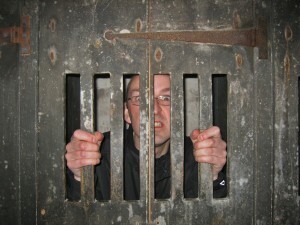 So, we all went to ex Bodmin Jail restaurant for an evening meal and tales and had a great time. 5 of us kipped on the club room floor with access to the bar / kitchen too. Club very very welcoming. At 5am Irish Frank bounced in waking us all. Forecasts showed low cloud and rain would be steaming in from the SW so by 0630 3 had left ! We set off at 0725 leaving just Keith with his Rans. Well, we were heading for Eaglescott, initially we were between few clouds at 500 feet and broken clouds at 2000ft, after 20 miles that was becoming scatterred at 500 and overcast at 1500ft, mmmm not much gap! We met a hot air balloon around Launceston which seemed to be descending to land. The view was great with brightly lit fluffy clouds below us and sunlight glinting off the Roadford lake reservoir ahead NW of Launceston. We were about 20 miles into the 40ish to Eaglescott. 5 miles on things were getting worse. The cloud was building rapidly ahead coming in from the NW coast and about 2 miles beyond the reservoir we faced a solid cloudbase below us, we descended in turns to find it was at about 500 feet above ground. My charts showed ground rising a further 400 feet on our planned track! To the West the coast was obscured by cloud, the East was clearer over Dartmoor but cloud was building and it was 15 miles off track to et there plus maybe a 50 mile total detour. If we got to Eaglescott and couldn’t land our endurance would then be too limited for comfort, plus if course Dartmoor has high ground and very limited landing options if needed. The only safe bet was return Bodmin. We’d been keeping an eye behind in case it was filling in and it had been ok, so we turned back and pulling the bar in pulled on 65mph ! (I know we’re slow!) . We’d heard Keith take off and then land again so wondered if he’d seen cloud worse between us. I was a little worried. Calling Bodmin Radio got no response as it was too early to be manned. 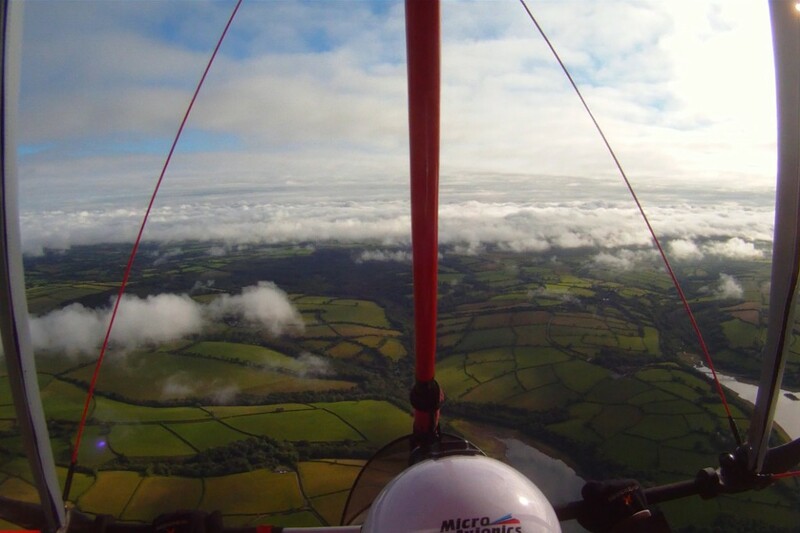 Cloud was higher toward Bodmin but I noted some good landing out options N of the Bodmin moor and we had about 500 feet to zip through before the ground dropped away 400feet into Bodmin airfield. I was happy to be down, but also happy that when for the first time weather had been a challenge, my training had kept me cool, assisted my assessments and informed my options. I had not made a daft, gung ho or pressured call. It was simple, return to Bodmin, if that was not doable, land in a field close to A30 or worst case a pan call to Plymouth approach for Vectors to them. Back at Bodmin it closed in overcast about an hour later and rained. Keith had been concerned with low mag drop, lower revs on climb out. So landed again to be safe. 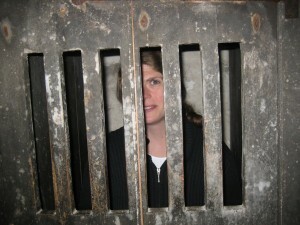 We spent Monday doing the Courthouse Experience and then Bodmin Jail both were very interesting. Historically trials were far from proper and minor misdemeanour’s recieved harsh sentences. Pilots beware ! We treated ourselves to a B&B (well we’d saved a lot on fuel!) and had a good sleep. Tuesday, today started with cloud 20feet over the b&b but it lifted alas to 20 gusting 28 knot wind. We are happily in the hangar here now. Club members have been very very helpful offering lifts to town and petrol station etc. Maybe we shall escape tommorrow. Those fixed wings aircraft at Perranporth did make Swansea today. A gyro did pass through here briefly too and did lands end. Those who headed N have done well, some making Lamb Holm in the Orkneys, although they’ve got wet and flown rather low at times ! Alan and Mark in BYFF got winded in at Barton then today at Caernarvon. It’s not a great week for fly uk!